Once you start crocheting jewelry, you won’t want to stop! 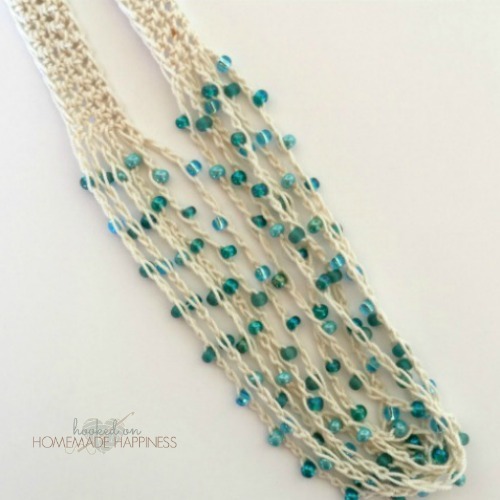 This Crocheted Beaded Necklace is way easier than you think and so much fun. 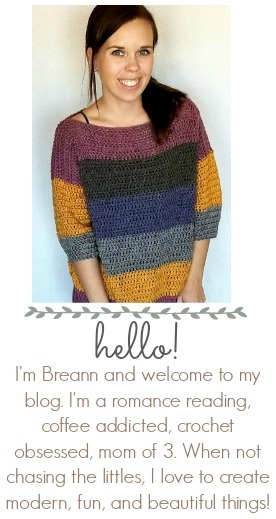 You can find the pattern HERE at Lady Behind the Curtain! I hope you enjoy this pattern and love making your own jewelry as much as I do. Wow, B. This is beautiful – you are so talented! I’m loving seeing all your stuff. Breann love this necklace!!! Working on necklace now, just have to keep watch as to keep from twisting the chain 50. Hope this makes sense.